The global ceramic membrane market was valued at USD 3.81 billion in 2017 and is estimated to reach USD 9.72 billion by the end of 2026. Asia-Pacific is expected to hold the largest share of global ceramic membrane market over the forecast period. Asia-Pacific held a market share of almost 37% during 2017 and is estimated to remain on the similar lines from 2018 to 2026. Ceramic membranes are made from inorganic compounds including alumina, silica, titania and zirconia among others. This membrane consists of many porosity levels and are of asymmetrical structure. Several pore sizes help in different filtration processes including nanofiltration, ultrafiltration and microfiltration. Ceramic membranes are used in various end-use industries such as, pharmaceutical, food & beverages, textile and chemicals among others. The growing demand for waste water treatment is acting as one of the major drivers for the growth of global ceramic membrane market. Liquid phase membrane uses nanofiltration process for the separation of inorganic and organic compounds. Higher manufacturing cost is however acting as one of the major restraining factors for the growth of the ceramic membrane market. The global ceramic membrane market has been segmented on the basis of material, end-use industry and technology. On the basis on material, the market has been segmented into alumina, titania and zirconium oxide. Titania held the largest market share among different materials during 2017 and is expected to top the market over the forecast period. Titania as a material of ceramic membrane market was valued at more than USD 1.5 billion in 2017 and is anticipated to reach USD 4.1 billion by 2026. The global ceramic membrane market on the basis of end-use industry has been segmented into water treatment, pharmaceutical, chemical and material, textile and food and beverages. Water treatment is expected to register a market share of more than 50% among end-use industries, over the forecast period. On the basis of technology, the global ceramic membrane market has been segmented into nanofiltration, microfiltration and ultrafiltration. Ultrafiltration is expected to be the market leader throughout the forecast period. The advantages that ultrafiltration provides are it can be used in pressure specific processes and can separate molecules that are available in water and can better remove the viruses, bacteria and parasites. Asia-Pacific is expected to be the market leader in global ceramic membrane market over the forecast period. 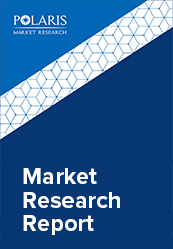 The Asia-Pacific ceramic membrane market was valued at USD 1.35 billion in 2017 and is expected to reach USD 4.23 billion by 2026.Europe is expected to be largest market for Ceramic Membrane over the forecast period, registering market share of more than 30% from 2018 to 2026. China is expected to top the Asia-Pacific ceramic membrane market and is expected to register a market share of more than 50% over the forecast period. The leading players in the global ceramic membrane market focuses on merger and acquisition as a part of their business strategy. For example, Liqtech International Inc, acquired Provital Solutions A/S in 2014. In addition, Hyflux Limited signed an MoU with Nanyang Environment and Water Research Institute for the collaboration biomimetic membranes research. Some of the leading companies operating in the ceramic membrane market are; TAMI Industries, A-tech innovation GmbH, Hyflux Limited, GEA Group, Veolia Water Technologies and Pall Corporation among others.